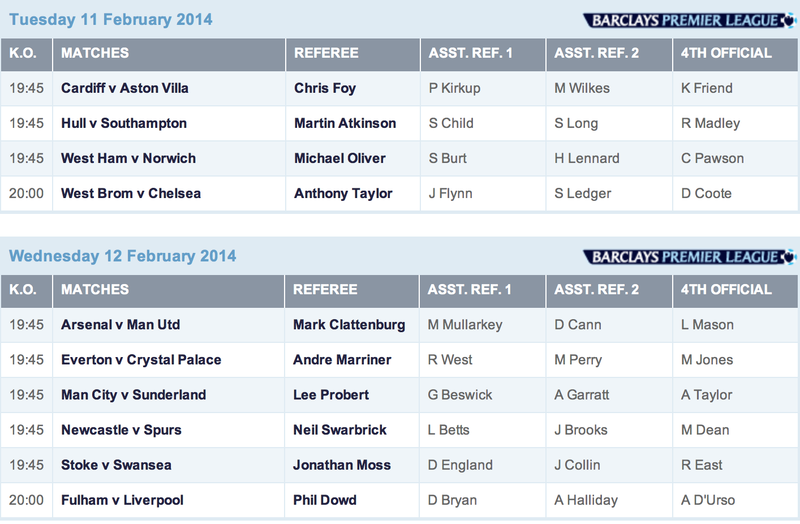 Mark Clattenburg is the Man to Watch this upcoming week. But then, when isn’t he? He’s got Everton (5th) at Spurs (6th) on Sunday, then takes a break and does Arsenal (1st) v. Man United (7th) on Wednesday. 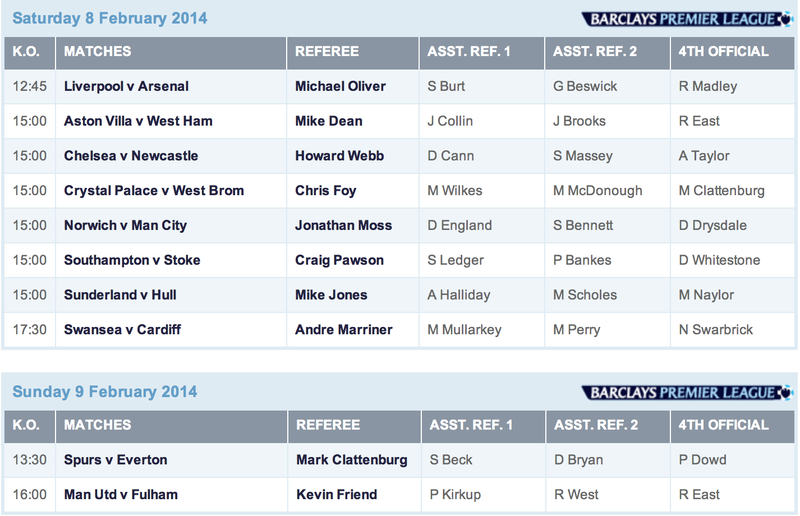 A single bad call from him this week could impact next year’s Champions League spots, and maybe even the title race. No pressure or anything, Mark.